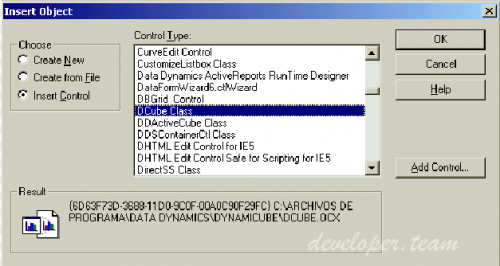 DynamiCube is a lightweight ActiveX Control that provides flexible analytical interaction with large databases, giving users the advantage of multi-dimensional databases without creating one. Data Dynamics, Ltd. is pleased to announce the release of DynamiCube 3.0. For professional Windows developers integrating data mining into DSS/EIS applications, DynamiCube is a lightweight ActiveX Control that provides flexible analytical interaction with large databases and gives users the advantage of multi-dimensional databases without creating one. Unlike any other OLAP solutions, DynamiCube enables data mining to be easily added to web sites. With virtually no coding, users can be provided with the SQL query path to any ODBC, ADO, DAO, RDO, BDE, or OLAP data source. DynamiCube builds and displays results at the user’s PC. Users perform interactive analysis locally, including data filtering, drill-down, roll-up, data marking, dimensional pivoting, calculations, ranking, print/preview and graphing. DynamiCube 3.0 features native Excel and HTML exporting, built-in OLAP support with an MDX query wizard, enhanced reporting features, a primary interop assembly to allow seamless integration with Microsoft .NET, updated samples and documentation, and more. Download and Review Visit the DynamiCube Downloads section to download a fully functional evaluation copy and start exploring the power and flexibility of DynamiCube 3.0.